The event will begin at 8 a.m. at the Athens Regional Medical Center with a light breakfast and a group warm-up. The walk will also end at the Medical Center. Unlike the AthHalf Half-Marathon on Sunday, this walk will not cause road closures. “We do not clear roads for this event. We encourage our walkers to walk on the sidewalk,” said Tammy Gilland, vice president of the Athens Regional Foundation. 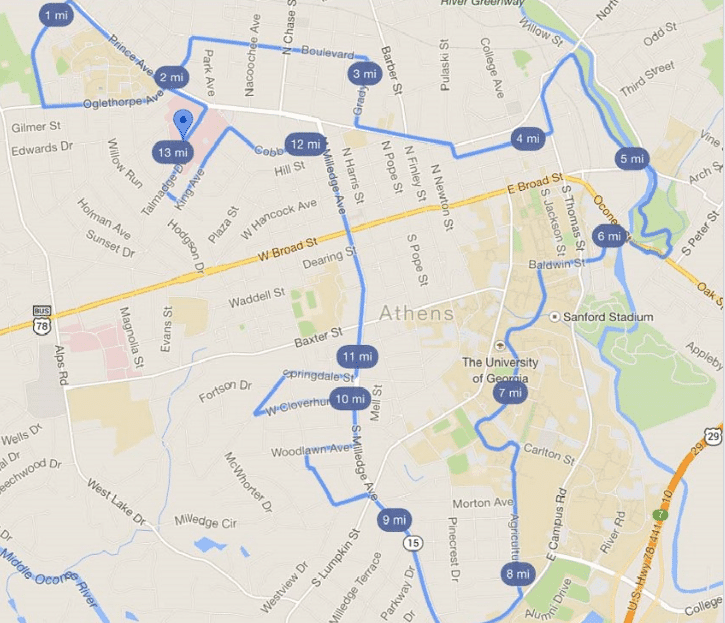 Off-duty Athens-Clarke County police officers will work all of the major roadways that the walkers will cross. Donations from this event go to the Loran Smith Center for Cancer Support at Athens Regional Medical Center. The Center’s fundraising goal this year is $250,000. Over the past eight years the event has raised over $1 million.